On Erin's blog, Scrap, Stamp, & Be Merry, she has a Friday Challenge. Well, she just found out that she is going to be an Aunt twice this summer (Congrats!)!! So she challenged everyone to make something baby related. And since I needed to make some card fronts for a swap that I'm in, this is what I made. I used my new flower slides, filled them with crystal effects, and put on some of my new chunky glitter! Love it! Let me know if I can help you place an order. Don't forget, Sale-A-Bration is now going on too! Only for a couple more weeks! You can get free stamps or rub-ons with your order of $50 or more! Love that ribbon slider. Neat card! thanks for doing my challenge!!! i love what you came up with!! i love that ribbon slide!! I love pink and green together. Very, very refreshing. Love the layout too! great job on the challenge, I guess I missed that challenge. Love how you used ribbon slide in it. My name is Jen. I am a mom to 3 wonderful children. I work full time as a nurse. This blog is share my love of stamping, scrapbooking, and papercrafting with you all. I am so glad that Stampin' Up! came into my life to give me a little bit of sanity and creativity in my hectic life! All contents © Jennifer L. Orbaker. Text and photos are for inspiration only and are the creative property of the author. Information provided on this blog may not be copied and/or used for any reason unless granted. Images 1990-2009 Stampin' Up!. The Stampin' Up! 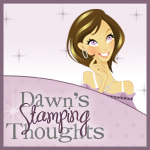 Logo is a registered trademark and is used with permission directly from Stampin' Up!